Before now, little was known as to what platforms Dynasty Warriors 9 was going to hack-and-slash its presence on. Wonder no more, because the latest entry in the series is heading to PlayStation 4, Xbox One, and Windows PC via Steam! Furthermore, Koei Tecmo described the more open world of the game. 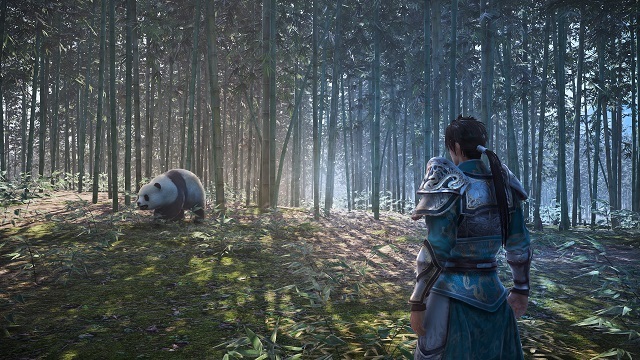 Players will be able to choose from following the main storyline or exploring China itself, even exploring the Great Wall. Players will be able to take on various side missions, ranging from sabotaging enemy troop supplies to scouting for powerful generals. Doing well at these quests can lead to great rewards and affect the difficulty of future fights. Lastly, two new characters are being added to the game: Man Chong of Wei and Zhou Cang of Shu. The former is most known for his strategy, being a general skilled in debate and tactics. The latter is good for speed and stamina. Along with these new characters, old characters are returning with new costumes, such as Sun Shangxiang, Lu Xun, and Lu Bu.